The Model T201 combines a specially configured chemiluminescence analyzer with an external thermal converter to give stable and repeatable NH3 measurements at very low levels. In addition, the T201 provides simultaneous values for NO, NO2, and NOx concentrations. The T201 is ideal for trace ammonia monitoring applications in ambient air as well as in clean rooms and make-up air units. Optional zero and span valves allow automatic, unattended calibration checks. The Model T201 achieves its remarkable stability by means of an AutoZero valve which measures and corrects for zero noise. Multiple self-checks are performed continuously to insure maximum up-time while an innovative sample path, plumbed with specially conditioned materials, preserves the NH3 sample and reduces interferents to a minimum. Upon request, The Model T201 is available with the Numaview™ software. 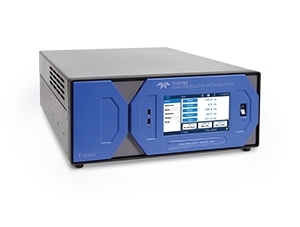 NumaView™ Remote PC software allows for a remote connection with virtual interface and data downloading capability to analyzers operating NumaView™ software.